Turns out, it’s not just the fake sweetener in Diet Pepsi and Diet Coke that might cause cancer; it’s also the coloring agent. The cans these beverages come in aren’t so healthy, either. 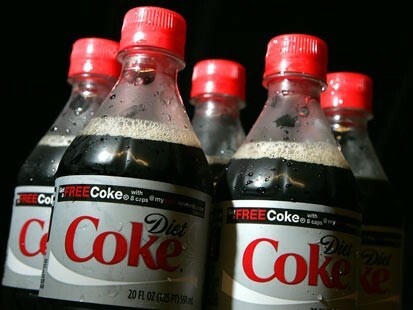 Modern-day commercial colas (both diet and regular) get their characteristic dark hue from something manufacturers call “caramel color.” On Wednesday, the Center for Science in the Public Interest formally petitioned the FDA to ban the chemicals that fall under that ambiguous label, on the grounds that they’ve been shown to be carcinogenic. Wait, the FDA is allowing a cancer-causing substance to be used widely by the food industry and consumed by millions of people daily, without warning? Evidently so. Indeed, to illustrate the difficulty our regulatory institutions face in trying to protect the public health against intense industry pressure to do nothing, I can think of no finer example than a simple can of diet cola.